ADEMU researcher Giorgio Monti, Professor of Competition Law at the European University Institute and joint chair of LAW/RSCAS, takes an in-depth look at the European Commission’s proposals for reforming the economic and monetary union. It would be difficult to disagree that the economic, political and social damage that has resulted from the financial crisis and the ensuing euro-crisis was a signal that reforming the regulation of financial markets and the governance of the euro-zone was a priority for the Union. From such vantage point, the Commission’s proposals issued in December 2017 to reform economic and monetary union are a timid step. Yet, as discussed here, even these relatively modest initiatives face some difficulties when viewed from a legal and policy perspective. In what follows, we summarise the four major planks of the Commission’s proposal and evaluate each in turn. This grand-sounding name for this proposal is quite misleading. The principal aim of the proposal is to bring the European Stability Mechanism (ESM) within the scope of EU Law (it now operates by way of an international treaty) so as to give more control over it to the Commission and afford the European Parliament some oversight. Accordingly it is largely about re-branding and reshuffling the institutions, while eliminating the International Monetary Fund’s (IMF) involvement in any subsequent rescue packages. It is not particularly clear that there is a legal basis for bringing the Treaty into EU Law; moreover the EMF would be a ‘unique legal entity’ which raises questions as to what this means precisely: this design is necessary in large part to ensure that the Council is the body taking the final decision on whether to grant aid, thus the EMF’s board of Governors acts largely as an expert adviser. The one substantive reform is that the newly named EMF is envisaged to serve as a fiscal backstop for banks, which is to be welcomed. However, the basic function of the EMF is expected to remain as it is: states in dire need of funding may secure loans at advantageous rates and repayable in the long term while having to agree to a set of economic reforms. The results of this approach are mixed: one the one hand the low interest rates and the long periods afforded to repay the loans have served to ameliorate the economic conditions of the countries seeking assistance (Corsetti, Erce and Uy, 2017). On the other hand, the reforms requested have caused much pain in the receiving states, with several legal challenges. The sole acknowledgment that this negative side-effect should be avoided in the future is a suggestion that a memorandum of understanding should be assessed for its social impact. It remains unclear whether the proposal foresees stronger accountability, in particular how far classes of citizens who suffer the adverse effects of austerity measures have a basis under EU Law to query the policies in the Memorandum of Understanding, something sorely lacking in the existing legal framework. The Treaty on Stability, Coordination and Governance was signed in 2012 by 25 Member States (excluding the UK and the Czech republic): it thus remains a Treaty under international law. It was part of a raft of measures to control government spending and to avoid states incurring too much debt. The key provision of this Treaty is found in Article 3: it requires that governments operate with a balanced budget (a structural deficit below 0.5% of GDP), and that any deviation should be corrected automatically; and that a balanced budget rule is incorporated in national legislation to ensure states are bound by this commitment. The latter has been achieved (Commission 2017), but it is doubted that many states actually abide by the substantive obligation, leading Bruno de Witte to wonder if it is preferable to let the fiscal compact remain in its present form and be largely forgotten (de Witte and Fromage, 2017). To this one might add that there are currently sufficient rules in the book that control Member State spending, that allowing this one to be phased out has little material consequences. More imaginative, but still underdeveloped at this stage, is the idea to develop a centrally held fund that may be used by Member States when they suffer an economic downturn and national funds do not suffice. The idea is sensible for it would prevent the accumulation of unsustainable debt preventing the need to apply for emergency funding to the EMF or IMF. One option that is currently under discussion is an unemployment re-insurance fund that would serve to top up national unemployment schemes at a time of unexpectedly high unemployment. However, ADEMU research suggests that the overall welfare gains from this scheme are likely to be modest. Another option for these funds which the Commission has canvassed is that the funds can be used to allow states to continue planned investments which are threatened by an economic downturn. In the past few years the EU has used existing funds imaginatively to assist Member States, and a further consolidation is to be welcomed even if the question remains on how the funds will be raised since states may be unwilling to increase their commitments to the EU budget. The holder of this post would be a member of the Commission responsible for the EMU and also the Chair of the Eurogroup (an informal body of national ministers who discuss coordination of economic policies and also assess the policies of states who obtain support from the ESM, currently presided by one of the ministers). The advantage of this new position is that one person would coordinate national and European policies, which could lead to more integrated policy-making. However this position sits oddly with the way the Commission is designed in the EU Treaties: it is a collegial body, and the Commissioner-Minister would hold a more powerful role that of other Commissioners. Moreover it may become difficult to sustain the role of Chair of an institution whose members discuss their economic policies, with the role of watchdog over their fiscal policies as a member of the Commission. Nor is it clear how this person would be accountable to the European Parliament: presently the Commission is accountable collectively, would this minister be accountable individually? These kinds of issues have led Maria Patrin (forthcoming) to wonder whether it is indeed possible to establish this position without amending the EU Treaties. Moreover this proposal requires further development to flesh out precisely what tasks this Minister should hold and consequently what the added value of this new post actually is. In sum, one cannot escape the feeling that these proposals are more about tidying up the EU’s existing toolbox rather than redesigning it altogether: the first two proposals are largely about ensuring that agreements entered into outside the EU treaty framework are repatriated, with little added value; the creation of a super-Commissioner is not accompanied by any clear suggestion that this enhances the role of the EU, and the most promising suggestion on the stability fund requires further elaboration at this stage. The assumption that measures taken during the crisis can simply be consolidated to render EMU workable appears too optimistic. Citizens of the EU should legitimately wish for more and it is to be hoped that in the next few months we may see bolder proposals. These are the views of the author and do not necessarily represent the views of ADEMU. Giorgio Monti is Professor of Competition Law at the European University Institute and joint chair of LAW/RSCAS. 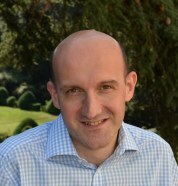 Before joining the EUI in September 2010, he taught law at the University of Leicester (1993-2001) and at the London School of Economics (2001-2010). He is an Italian national but he received his legal training in the UK. His main research focus is in the field of competition law but he has taught across a diverse set of courses and engaged in research projects in fields including feminist legal studies, commercial law and comparative tort law. His current research is in economic law. European Commission, The Fiscal Compact: Taking Stock C(2017) 1200 final. This entry was posted in Perspectives on April 4, 2018 by ADEMU.